A totally amazing record that deserves to be right at the top of the greatest trippy albums of all times – even though it was never issued at the time! 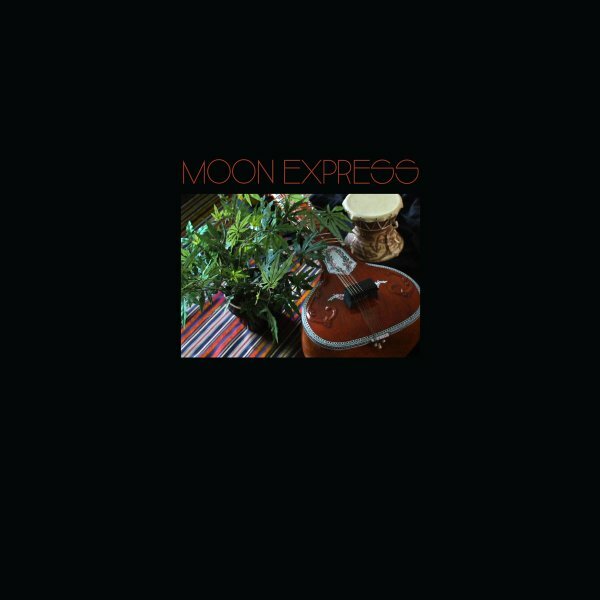 The Moon Express are a group shrouded in mystery – whose one claim to fame was an appearance on a Monkees TV special, but who also featured leadership from Paul Arnold – kind of a hip background figure on the west coast scene, best known for the album Inner Sounds Of The Id on RCA in 1967! Here, Arnold brings together sitars and percussion, violin and tablas, echoey voices and lovely lyricism – all with a vibe that feels like a hippie daydream slowly tipping into nightmare. Vocals are by the fantastic Tsvia – an Israeli singer with a range that really increases the power of the record – especially when conjoined with the male spoken vocals. There's a very strong influence here from Eastern culture, but one that's already getting corrupted – as so many non-Western ideals were in the hands of the wrong folks at the time – and the result is a mad little album that's as spooky as it is groovy – with titles that include "Wakefulness Of The World", "Awake & Love", "My Little Corner Of The Earth", "Fly By Night", "Wilderness Ocean & Space", "Between My Inner World", and "Lost Spirit Of America". Features bonus tracks "Can't Buy Me Love" and "Tell Me What You See". © 1996-2019, Dusty Groove, Inc.